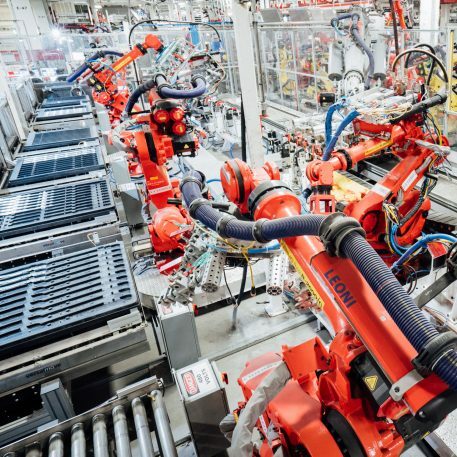 Designing the factory from scratch “provided some great opportunities to rethink manufacturing,” says Rodney Westmoreland, director of construction management for Tesla. “We look at challenges from first principles–breaking things down to the very basics of physics and what’s possible–since we’re doing something that has never been done before. As a result, our teams of mechanical, electrical, and manufacturing engineers have spent the last few years creatively building a sustainably powered facility with no on-site combustion of fossil fuels. 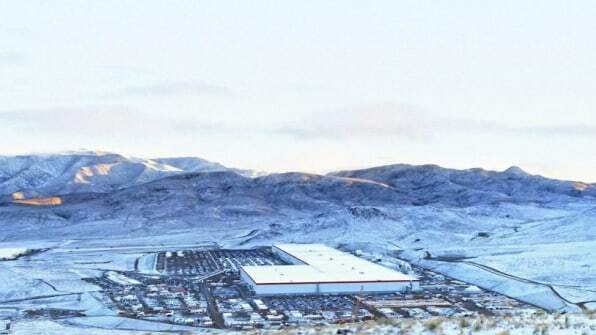 This was critical to our mission of moving the world to a sustainable energy future.” A new environmental impact report released on April 15 includes a case study on the factory’s sustainable design. Because manufacturing batteries is so energy intensive, the equipment in the factory generates so much heat that it’s necessary to pump chilled water through the building to cool it down–something that normally also takes a huge amount of energy. 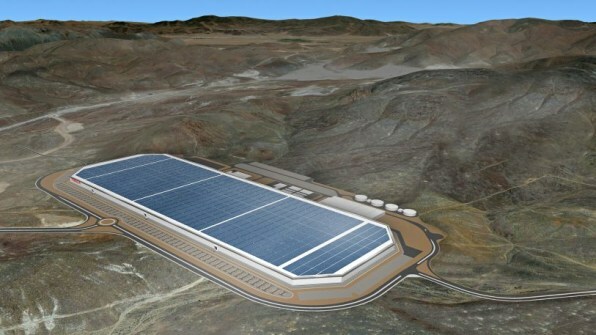 To solve the problem, Tesla designed a unique chilled water plant that makes use of the desert climate: When the air is cool at night, the plant generates more chilled water than needed, and that extra water can be used during the day. The system, which uses one of the largest thermal storage tanks in the world, will cut electricity used in the process by up to 40%, and cut water consumption up to 60%. “Upfront, it seems quite monumental to design, construct, and estimate, but ultimately it eliminates the need for numerous chillers and the amount of energy required to run them,” Westmoreland says.